Portable amusement rides for sale, one of the most popular rides which is hot sale in Australia. 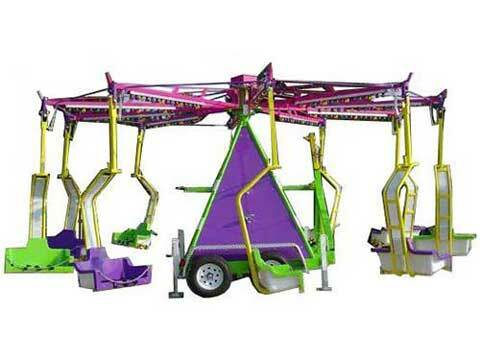 Portable rides is the characteristics of the convenience to be installed and dismantled. Portable rides is easy to move and carry which is because these rides can be placed upon a trailer. These portable amusement rides are widely used for funfairs, fairs, theme parks and other places. Beston here manufacture and offer various of trailer mounted portable rides for your amusement park business. We can also customized according to your requirement. As one of the most popular and classic rides, samba balloon rides are widely used in the funfair and amusement parks. Here we have a trailer mounted model samba balloon rides which is hot sale in Australia market. With 8 cabins, the whole capacity of this portable model samba balloon is 32 passengers which means each of the cabin could carry 4 passengers at the same time. Each of the balloon can be painted with different colors. It is installed upon a small trailer which is strong enough to stand its whole weight. We can delivery this ride to Australia by sea. Want to buy this portable samba balloon amusement ride? Contact Beston Now! 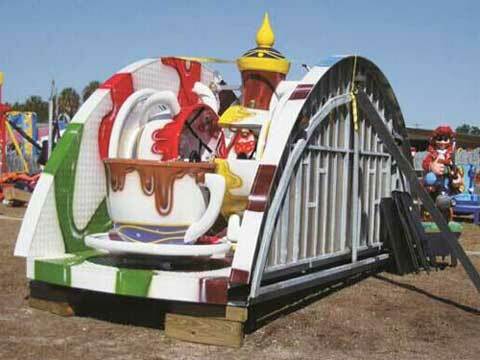 Portable tea cup rides, also called trailer mounted tea cup rides, coffee cup rides. It is a type of popular portable rides which is made in Beston. Beston portable trailer mounted tea cup rides use the hydraulic system, all the parts of the teacup rides are automatic which including the background decoration and the platform. Size, capacity, colors and appearances of these portable tea cup rides can be customized if you need. Now feel free to contact us about your requirement if you are looking for new portable type tea cup rides. Swing rides, one of the most popular kiddie rides. Every kids love swings. That’s the reason why they also love swing rides in the amusement park. This portable model swing rides is smaller in size which is perfect for travelling funfair. With top quality fiberglass material, model design with trailers, suitable for indoor and outdoor use, and large capacity with 30 childrens or 20 adults features, this portable kiddie swing rides become more and more popular in the traveling funfair market. Portable pirate ship rides also called trailer mounted mini pirate ship rides in Beston. It is a popular type park rides in Australia which is customized by Beston Group. 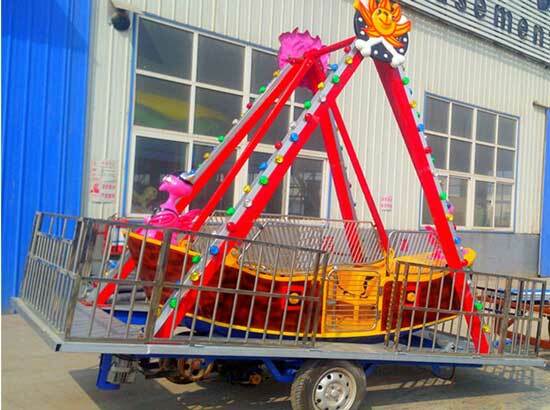 In our factory, Capacity which is under 12 seats pirate ship rides can be made as the trailer mounted. Welcome to choose your favorite model here. Human gyroscope rides, one of new amusement park rides which developed by Beston Group. We have 2, 4 and 6 seats human gyroscope rides here. Each model of the gyroscope rides can be customized to a trailer mounted model. Our portable human gyroscope rides can be used on different places, such as funfairs, theme parks, fairs and travelling funfair and even shopping centers. Welcome to buy your new portable human gyroscope rides from Beston Amusement. Portable amusement rides-flying car rides, a moveable type non foundation kiddie amusement rides which can be rotate within 360 degree. We have two types of flying car in our factory. One is the normal type flying car rides, the other one is the portable type flying car rides. Here the portable flying car rides is a collapsible which equipped with adjustable wheel, we can also called them trailer. Yes, the trailer mounted flying car. We ad exported many sets of trailer mounted portable flying car to Australia these years. 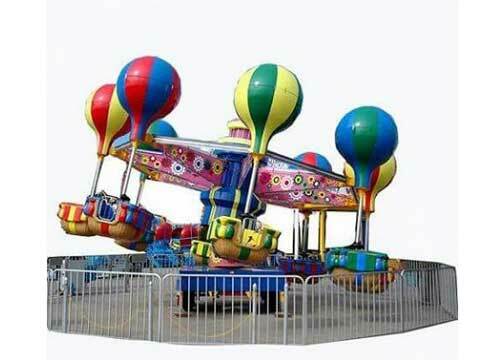 Except for these 6 types of portable rides, you can also ordered many other different types of portable amusement rides from Beston Group. Such as portable carousel rides with 3-6 seats, portable samba balloon rides with 6 and 8 cabins and etc. Contact us for more portable rides now for your park in Australia. Trailer mounted amusement rides which is suitable for travelling funfairs. Easy to carry and move when you bring these portable rides out of home. So many types of portable rides here in Beston Amusement. High quality, novel appearance with reasonable prices. Durable color, we use high quality paint on the cover of the rides. We use FRP and steel material on the main parts of the rides. Beston portable amusement rides is a perfect addition to a moveable park. There is no need to carry, to set-up in one place and also no need to worry about the space covering. You can move these portable carnival rides timely. We have different kinds of portable rides here in our factory- Beston warehouse. If the above portable items cannot reach your requirement, welcome to Contact Beston. As you know, size, colors of the portable rides and trailers can be customized according to your idea. Hope you can find the best portable rides here for your business in Australia!